Morning ladies & happy Fri-yay! I'm layering up in a favourite colour palette today & going for a pretty simple & timeless look. 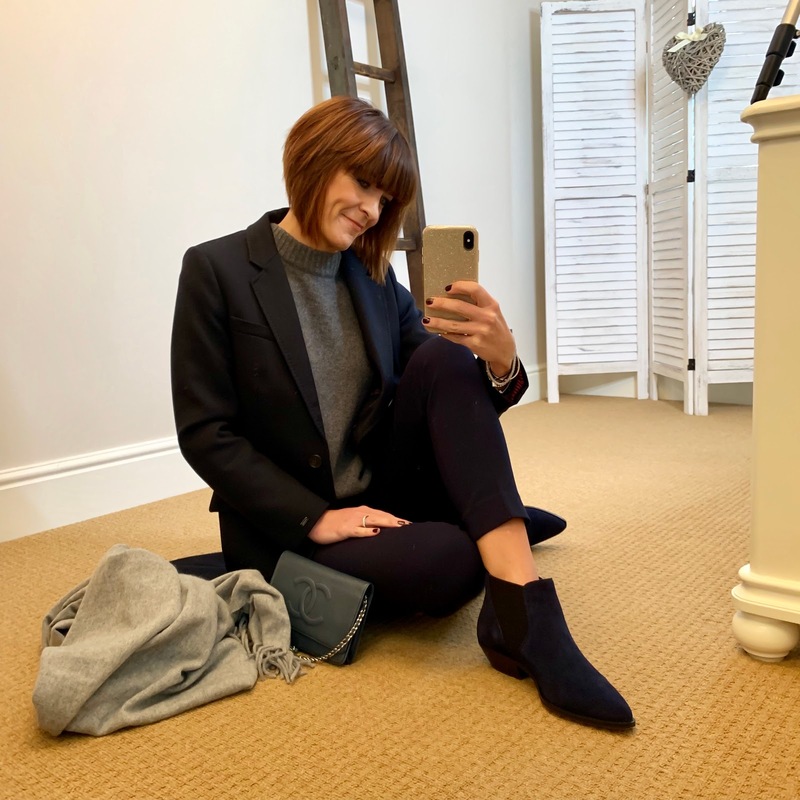 I'm teaming my cropped cigarette pants with an oversized cashmere knit & a favourite tailored coat from last winter & finishing the look off with my new western style ankle boots & an oversized scarf. So how's everyone's Friday looking? It was an earlier than normal start for us this morning as our son has gone off to Vienna for the weekend. The first time travelling & exploring on his own - eek! To say I'm going to be monitoring him constantly on the 'Find My Friend' app is an understatement. So looking foward to having home safe & well on Sunday evening! Even though you're keeping it simple, you add the perfect touches to bring it all together! Always classy!